(JEFFERSON CITY, Mo. )–Jason Mayer of Dexter, Mo., joined a select group of nine farmers in Jefferson City Dec. 14-15 as part of the inaugural class of the Missouri CornRoots Leadership Academy sponsored by the Missouri Corn Growers Association (MCGA) and Missouri Corn Merchandising Council (MCMC). Designed to identify future grower-leaders and provide tools to increase grassroots involvement, the first CornRoots session kicked off Wednesday with growers from across the state. Throughout the program, Mayer took part in sessions focused on the value of grassroots, effective leadership, public speaking, policy involvement and media training. The class also visited the State Capitol to gain a better understanding of the policy process and how to effectively communicate with urban and rural legislators. To complete the leadership academy, the group will take part in a second CornRoots session where they will meet with the Missouri Corn board of directors, visit with legislators at the State Capitol and join other growers for MCGA’s annual meeting Jan. 31 in Jefferson City. 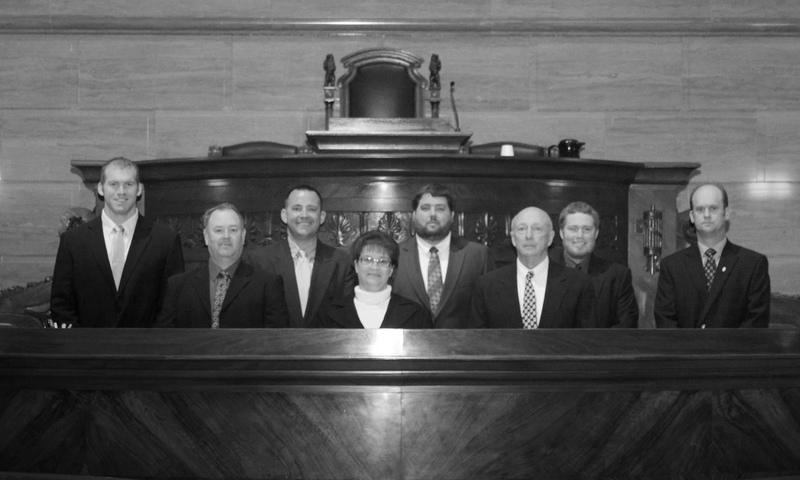 Mayer was nominated to the CornRoots program by members of the Missouri Corn board. He is a district sales manager with AgriGold and farms part-time with his father-in-law, growing corn, cotton, soybeans, rice and wheat. He is also a certified crop advisor, member of Missouri Farm Bureau and a member of the First Baptist Church. To learn more about Missouri’s corn industry and the farmers involved, visit www.mocorn.org or call (800) 827-4181. Your email address will not be published. *Fields are required. Right-click the link and choose "Save as." Captions for the photos are provided. Photo Caption: Missouri CornRoots Leadership Academy members visited the State Capitol Dec. 15 to gain a better understanding of the political process. Pictured (l-r) are Kurtis Gregory, Malta Bend, Mo. ; Brian Lehman, Versailles, Mo. ; Joe Meadows, Liberal, Mo. ; Dana Hauk, Memphis, Mo. ; Jason Mayer, Dexter, Mo. ; Jim Burns, Anabel, Mo. ; Matt Moreland, Harrisonville, Mo. ; and Patrick Anderson, Archie, Mo. Not pictured is Richard L. Oswald of Fairfax, Mo. *Additional photos available upon request.